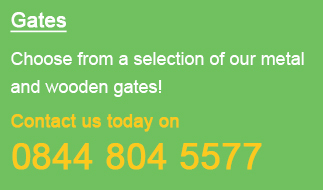 Here at Garden Gates Direct we have tried to ensure the online ordering process is as simple to follow as possible. However should you prefer to place an order over the telephone please feel free to contact us on 0844 804 5577and we shall be pleased to complete your transaction and answer any queries you may have. Alternatively for business customer we are also happy to accept payment via BACS transfer. If you wish to make payment via this method please contact us and a pro forma invoice can be sent with the payment details enlcosed. Payment is required in full at the time of ordering and can be made via Debit / Credit card or alternatively can be paid via Paypal. If for any reason you wish to cancel the order prior to the goods being dispatched we will provide you with a full refund. If you are acting as a consumer (ie not a business transaction), and wish to cancel the order after the goods have been dispatched / delivered then under the Distance Selling Regulations you have a period of 14 days (starting the day after delivery) to inform us of your wish to cancel the order. Courier / collection charges for any cancelled order will remain the responsibility of the customer. 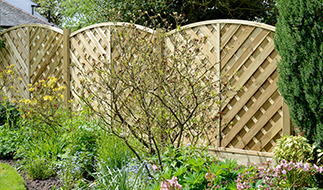 Cancellations must be made in writing (in the form of an email) and should be sent to sales@gardengatesdirect.co.uk. Unfortunately we are unable to accept telephone cancellations. Cancellation of made to measure products and non standard items is not possible under any circumstances once manufacturing has commenced. Please note that under no circumstances will we accept returns for goods that have been installed or modified in any way. We are extremely confident you will be satisfied with the products you order. However, provided they have not been installed or modified in any way should you wish to return the goods for any reason, under the Distance Selling Regulations you have a period of 14 days (starting the day after delivery) to inform us (in writing) that you wish to return the products and receive a refund (excludes business transactions*). *Where you are acting as a business and wish to return the goods within this period you will incur a restocking charge of 25% of the value of the order. After this time we do not accept returns for unwanted goods or incorrectly ordered items. In the unlikely event that you need to return a product, please contact us (in writing) and we will provide you with the returns address. Unfortunately we do not make collections for unwanted items or incorrectly ordered products and as such you must arrange your own method of carriage. On receipt of the goods in question they will be inspected and if found to be in original condition a refund will be provided (minus the original delivery charge). Please also note that under no circumstances are we able to accept returns for made to measure items, non standard items and finishes not displayed on the website unless the product is faulty or damaged. In the unlikely event that an item is missing from your delivery you must contact us within 5 working days of receiving the goods and we will investigate the matter and send replacement parts where required. After this time any claims for missing goods on delivery will be rejected.